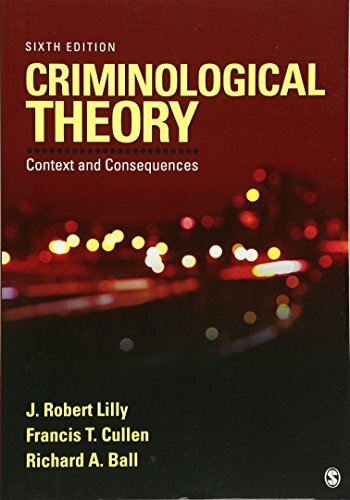 1452258163 -Offering a rich introduction to how scholars analyze crime, Criminological Theory: Context and Consequences moves readers beyond a commonsense knowledge of crime to a deeper understanding of the importance of theory in shaping crime control policies. The Sixth Edition of the authors’ clear, accessible, and thoroughly revised text covers traditional and contemporary theory within a larger sociological and historical context. J. Robert Lilly, Francis T. Cullen, and Richard A. Ball include new sources that assess the empirical status of the major theories, as well as updated coverage of crime control policies and their connection to criminological theory.